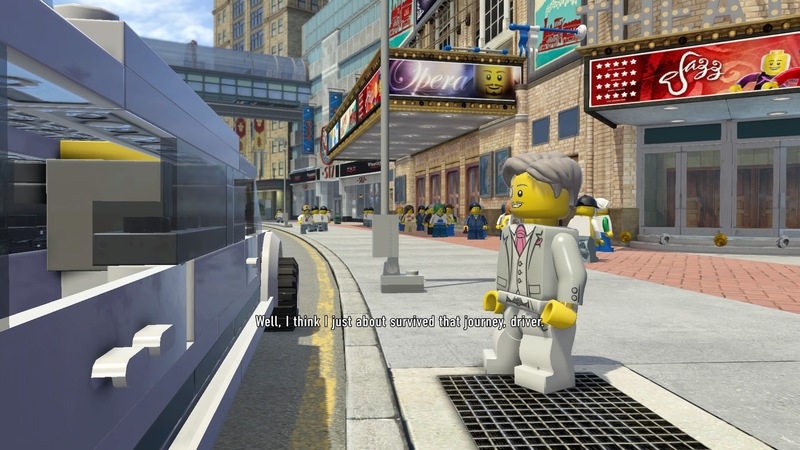 Donning a new disguise, Chase begins work as a lowly limo driver on the main island of LEGO City. After some impressive driving, Chan, the local crime boss, sends Chase to steal some cars -- before a thief shows up at Chan's Limo Company. There's plenty to see and do, but no official "Special Assignment" levels to complete for this chapter. 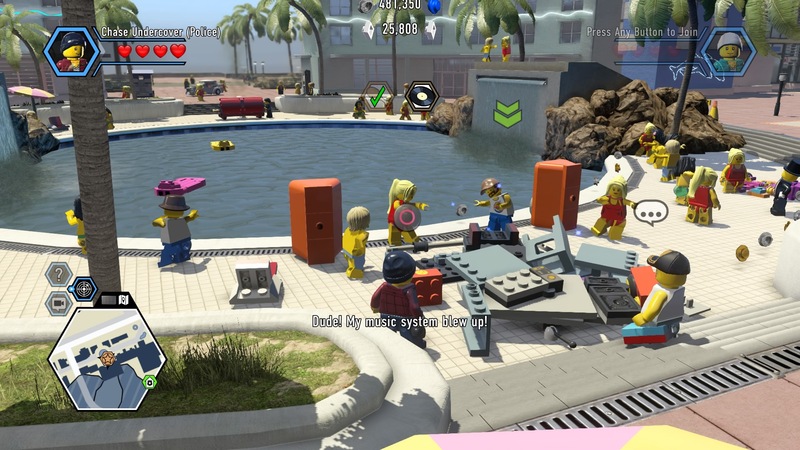 For even more LEGO guides on The Escapist, check out the LEGO Dimensions walkthrough for all the toys-to-life puzzle solutions. 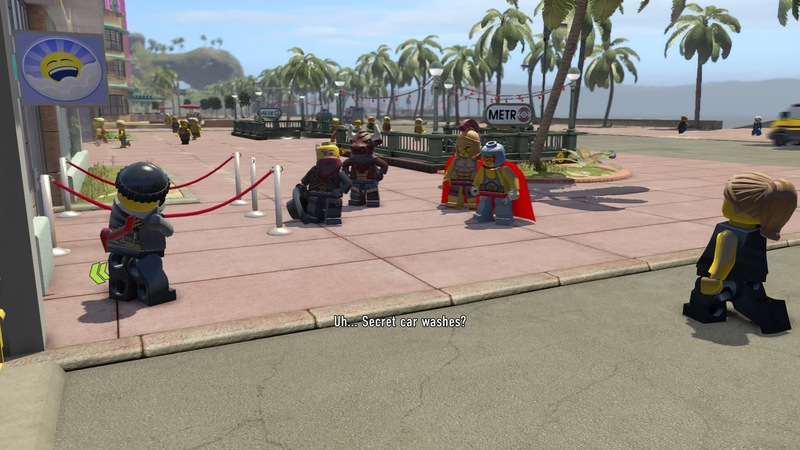 Right at the start, Chase will unlock the Undercover Disguise. 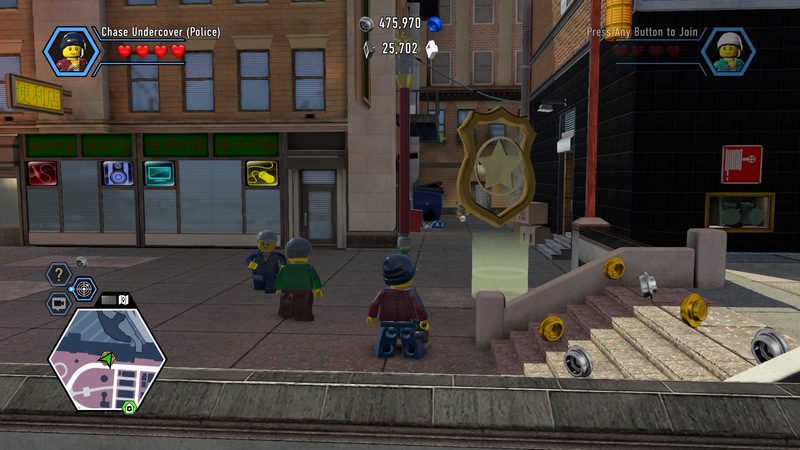 It's just like the Police Disguise, but better suited for undercover police work. He's still got all the same powers - a Grapple Gun and the ability to arrest bad guys, but he looks a lot seedier. 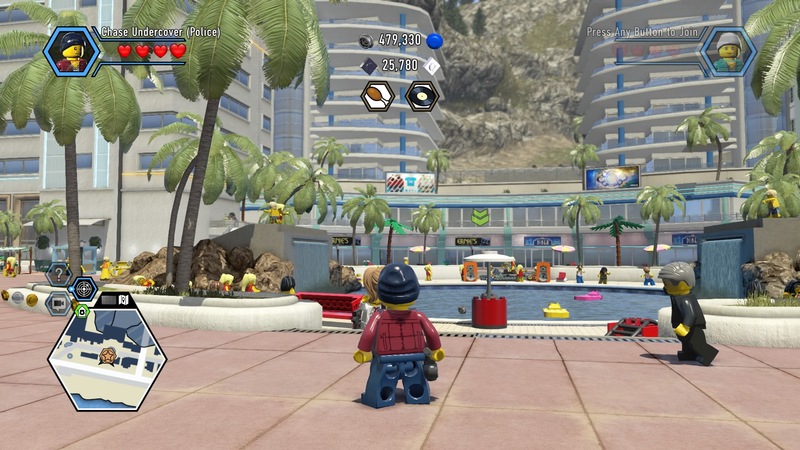 The bridge to the main island of LEGO City is finally open. That means Chase can reach Downtown, Paradise Sands, Fresco, Crescent Park, and much more. For now, your goal is in the Pagoda District. 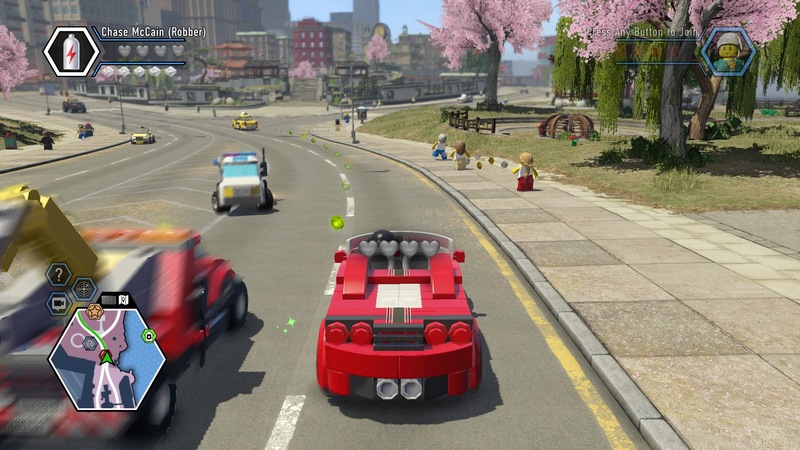 Follow the sat nav studs across the bridge to Festival Square and continue up north to your objective. At the shield waypoint, Chase will unlock the Audio Scan ability with the Communicator. 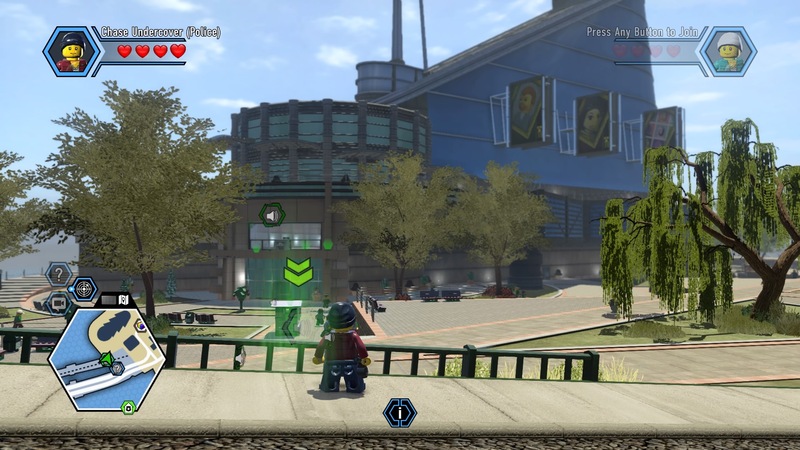 This functions like the Detective Scan ability - look for green special markers to use it. You'll need it to spy on Chan's gang. 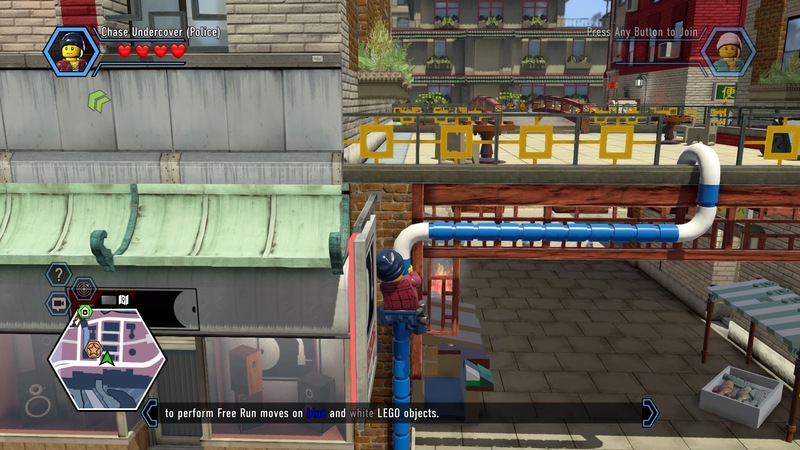 Climb the blue / white pipe across the street, then cross the small bridge on the landing connecting the four buildings together. There's an awning with a blue Grapple point. Go up and cross the rope bridge. On the building over the bridge, you'll find the Audio Scan point. To begin scanning, follow the flashing pointers to each source of audio - listen to them all to get your first clue on Chan's gang. Now Chase has a goal - stop Bucky Butler and take his place at the interview to join Chan's gang. Drive to the waypoint in Uptown and use the Audio Scan point on the train bridge with a view of the gallery. Once again, listen to all the audio clues you can to get more info on Bucky Butler. Bucky is trying to escape with a stolen painting! He'll make a run for it. 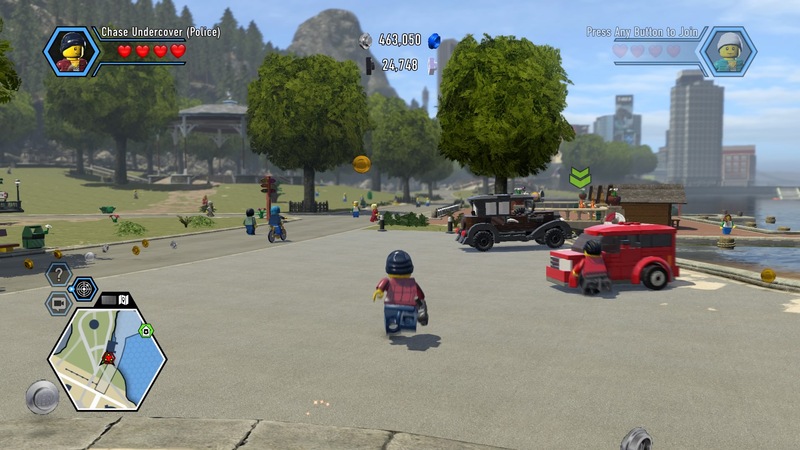 Chase will automatically hop into a vehicle and the driving section will begin. 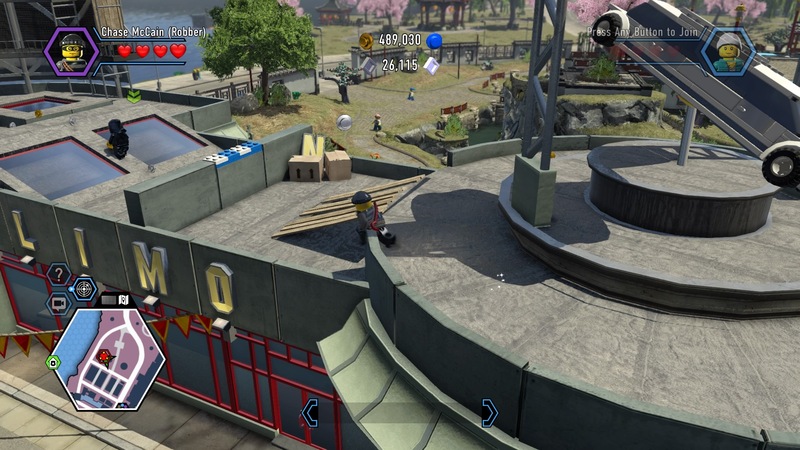 Follow Bucky over the dock ramp and into the park - don't forget about your nitro boost! Ram Bucky's car and chase him down on foot to arrest him. With Bucky out of the way, you can now begin your interview with Chan. The interview is pretty simple - Chase is hired! Your job is to drive the billionaire Mr. Blackwell around town and avoid the paparazzi. Hop into the white limo and follow the sat nav studs to Blackwell Tower. After picking up Blackwell, you'll have to deal with rampaging paparazzi on top of a time limit. 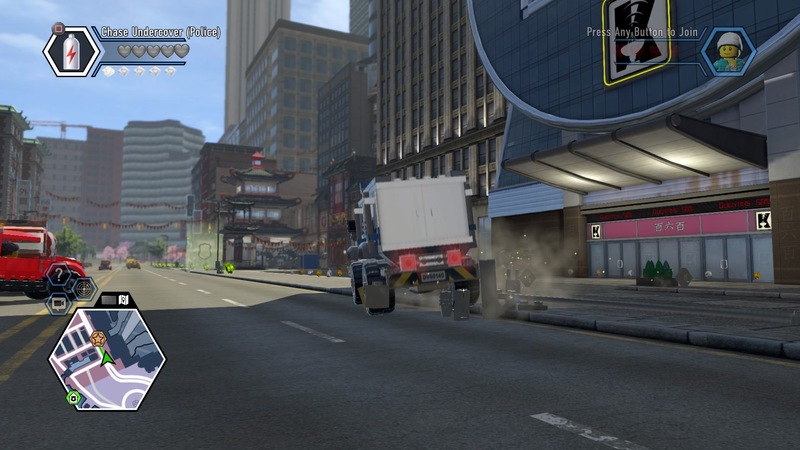 Plow through the opponents and take your limo off the main road whenever you can to throw the chasers off your tail. 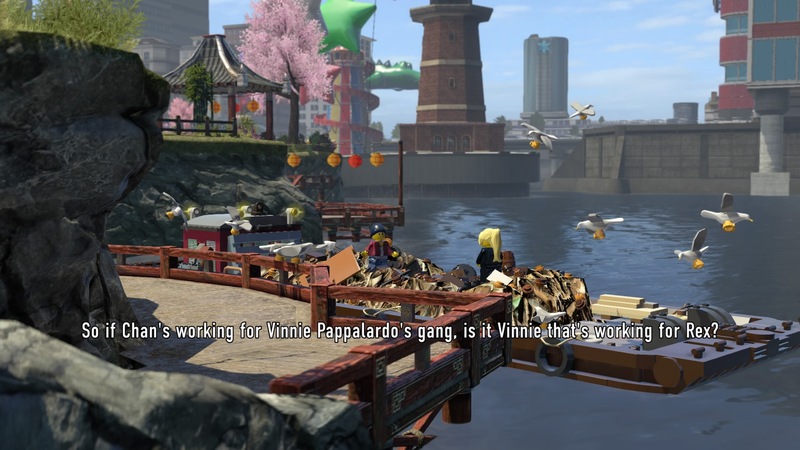 When you successfully drop off the (extremely suspicious) Mr. Blackwell, take a drive down to Pagoda to meet with Mr. Chan for the first time. He wants you to make a few pick-ups and return to the Salvage Yard. Drive to Paradise Sands - there's a car to steal, but it won't be easy. 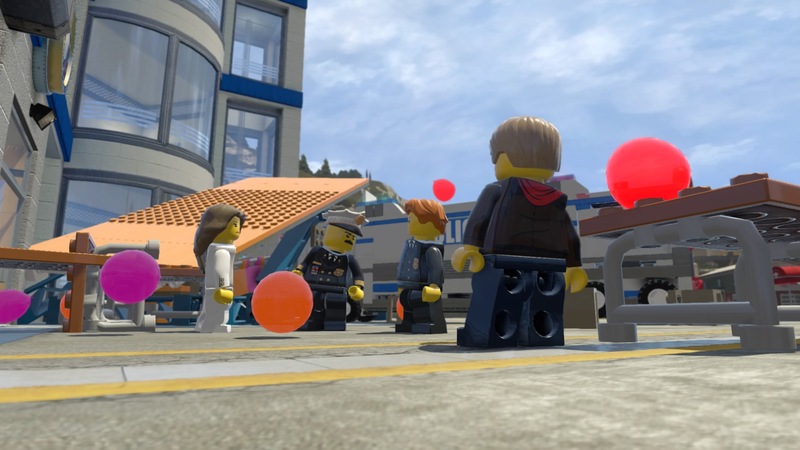 To get rid of the guards at the fancy car garage, you'll need to lure them away with a pool party. 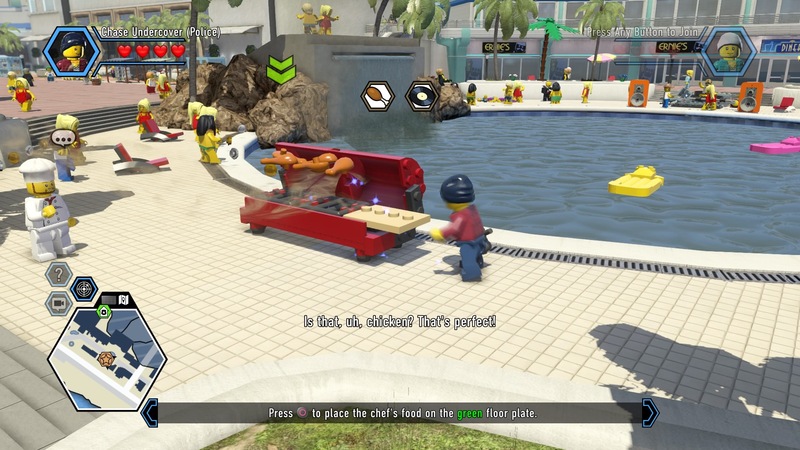 Smash all three red / black LEGO objects near the pool to create a barbecue grill. Food is to the right of the pool - there are stands with crates underneath. Smash the crates to collect one and take it back to the grill. Now for music. Go behind the pool to find hopping bricks. Build to create a booth for the DJ - but you still need a record! Go interact with the spot near the magician to get your record. Return it to the DJ Booth to get music going. Press the buttons that appear - beware, you can only make three mistakes! When the minigame is done, the garage will be left completely unguarded. Go bust open the garage door with the Robber Disguise, deal with the costume party patrons in a brawl, and drive away with the car. 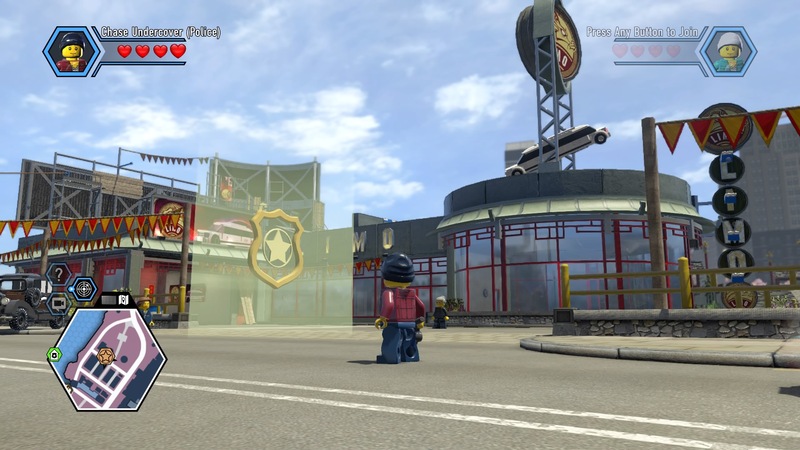 After stealing the car, you'll need to evade the cops on the way to the Salvage Yard. 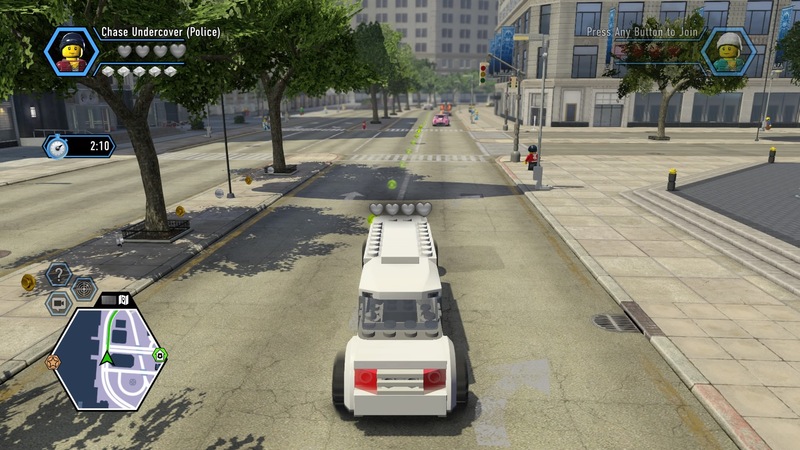 Bust through the cop cars and use nitro boost to escape your pursuers. When Chase delivers the car, he'll get another job - investigate the burglar alarm going off at Chan's Limo Company. 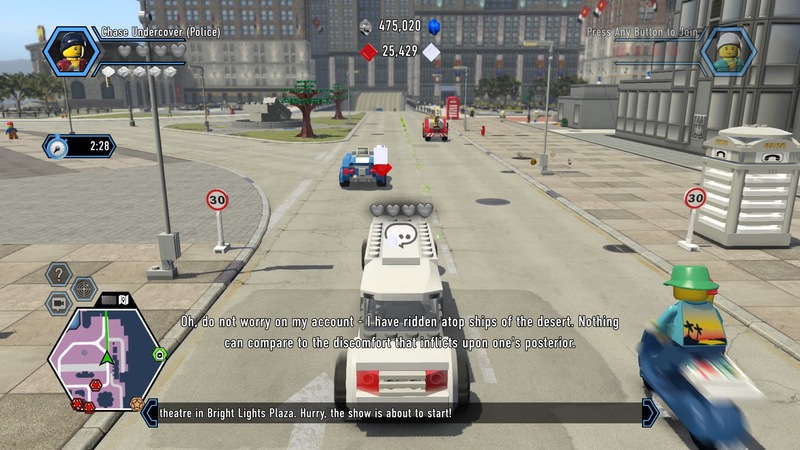 Drive down and enter the shield to begin. There's a ninja stealing Chan's files! 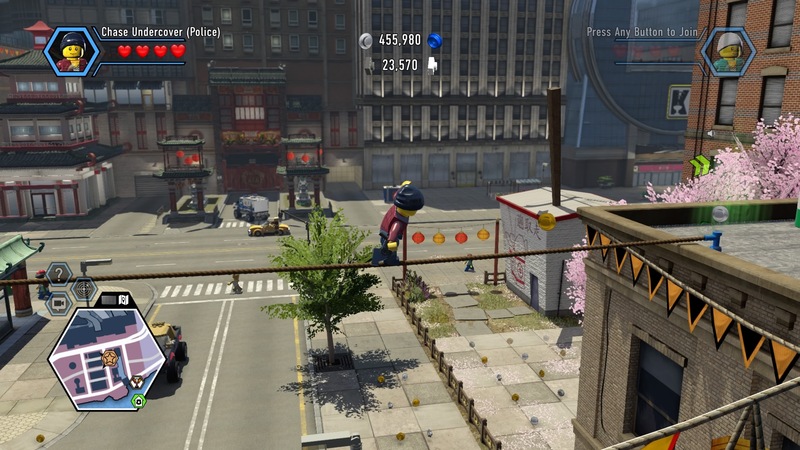 Chase him up the signs and across the rooftop of the Limo Company. Continue up and around to the zip-line, then across the rooftops and down onto the catapult pad. If you're ever lost, follow the studs and look for blue / white LEGO free run spots. 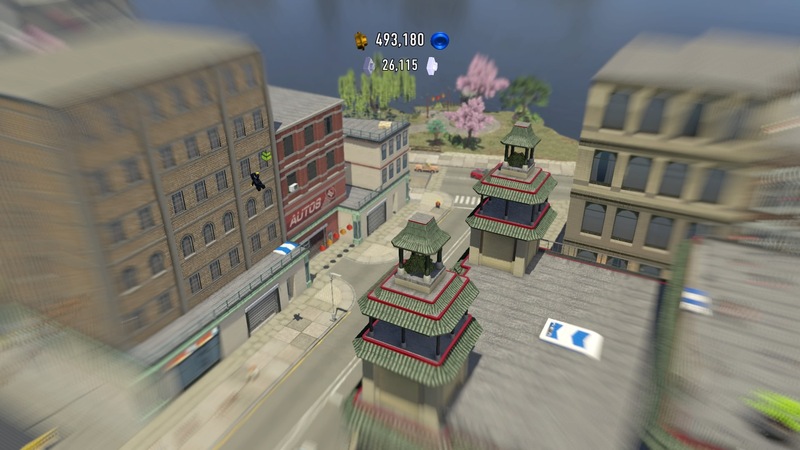 Wall-run, wall-jump, and slides down the zip-line to corner the thief. It turns out the thief is actually Natalia! Finding her ends the chapter with a twist... Natalia is looking for her father, and Chan is working for Vinnie Papalardo, the local mobster with his own ice cream restaurant. Time to start piecing this puzzle together.